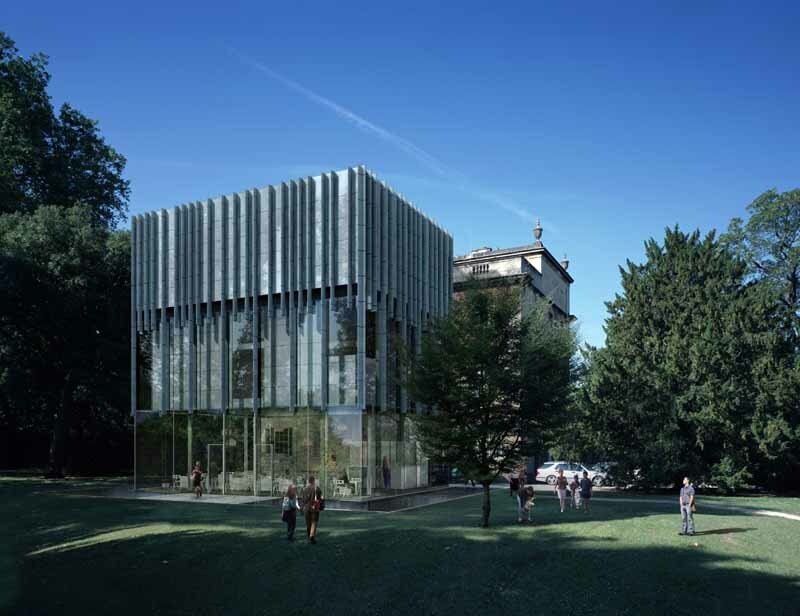 Alison Brooks Architects’ Bath Riverside Scheme Planning Consent Alison Brooks Architects is pleased to announce that planning consent has been granted for their mixed-use residential scheme in Bath on the banks of the River Avon for client Crest Nicholson Regeneration. The Site forms a prominent part of one of the largest brownfield regeneration projects in the south-west, the first phase of which is nearing completion. The geography of Bath with its rolling hills and views down to the river basin means the roofscape acts as a ‘fifth elevation’, a faceted surface integrating large dormer windows and balconies. The site’s connection to the new riverside walk and its orientation influenced the massing strategy. Semi-detached villas along the river allow light and views through to the river from within the site. A west terrace and southern mews block complete the triangle, with the mews reduced in height to increase sunlight into the central courtyard. The outward facing city frontages use a primary rhythm of large double height dormers and bay windows, combined with a sculpted roof form which can be read from the surrounding context. The interior courtyard facades use a smaller rhythm of staggered single storey openings, which are punctuated at the top and bottom of the block with deep reveals. These form the entrance portico and third floor loggia. The curved form of these buildings characteristically embraces the landscape. These landscaped areas are found throughout the City of Bath, in varying shapes and sizes, providing shared amenity and framing viewpoints of the city and the surrounding hills. Guiding principles were established in the design of the different house types, to enhance their flexibility, create vertical spatial connections between living spaces, the adjacent landscapes and wider views of the surrounding city. • A laterally orientated staircase allows views through the house to the garden and river beyond. • Access to outdoor space at different levels is provided throughout the house: ground floor patio, first floor terrace, and third floor balcony. • A large dual aspect master bedroom or flexible space on the top floor utilises the space within the faceted roof form. Homes have been designed to Code Level 4 with heating provided by a central CHP for the wider development. Bath Riverside is one of the very few residential developments in Bath that enjoys direct access to the river. The towpath is used widely today as a direct pedestrian and cycle route into the heart of the city, a 10 minute walk away. A new landscape along the river frontage has been developed to enhance this journey, and forms a linear park with pockets of expanded landscape.